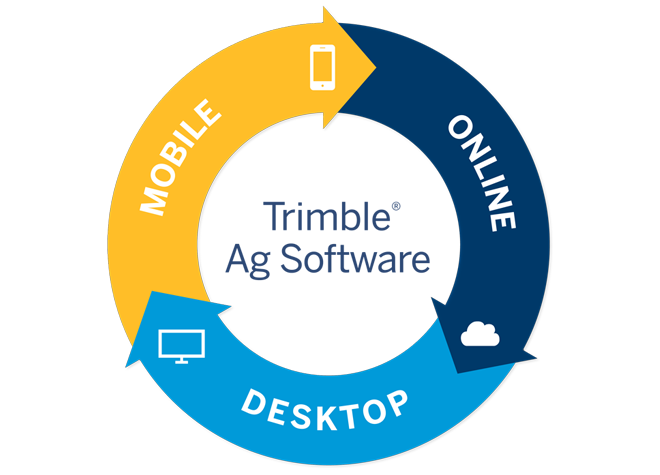 Farmer Pro is Trimble’s most powerful desktop, online, and mobile farm management software. 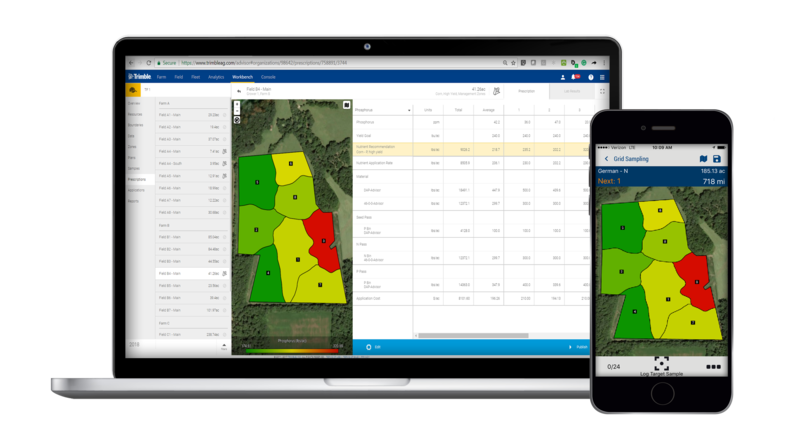 Farmer Pro customers get all the benefits of Farmer Fit, as well as additional features that enable innovative, profitable farm management, including Crop Health Imagery, Work Orders, grid or zone soil sampling workflows, managing grain contracts, and more. 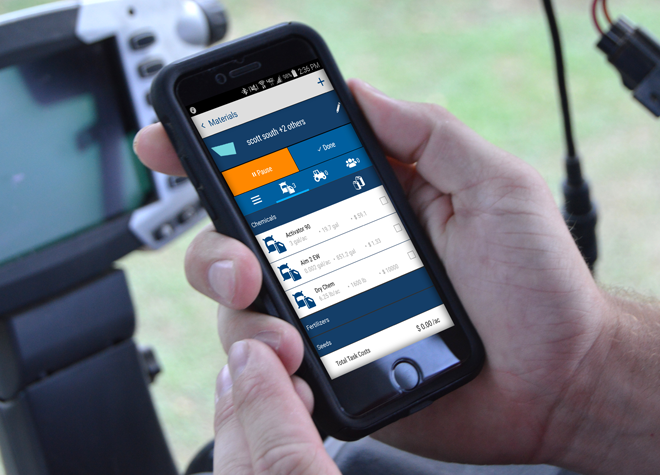 Farmer Pro comes with access to the pioneering, user-friendly Trimble Ag Mobile app. 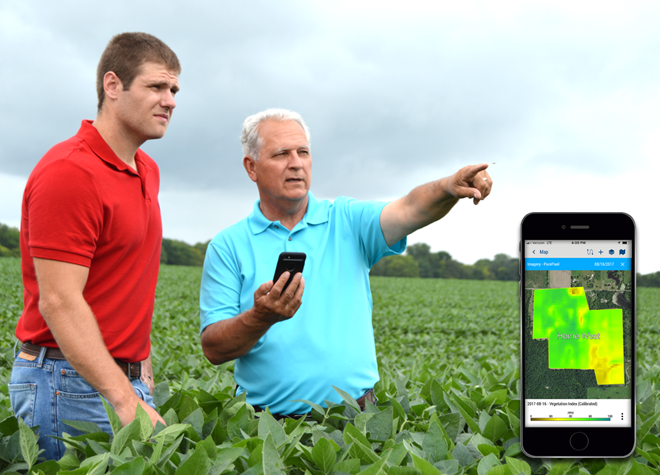 Trimble Ag Mobile allows farmers to input, access, and share records — from field images to crop scouting reports — in real time from any mobile device. Our farm data management app works on both Apple iOS and Android devices, and keeps working even if you lose your Wi-Fi or cell signal. Farmer Pro comes with access to our integrated desktop mapping, field record-keeping, and simple cash accounting. Built on the foundation of Farm Works Software®, our desktop platform turns farm data into actionable decisions. 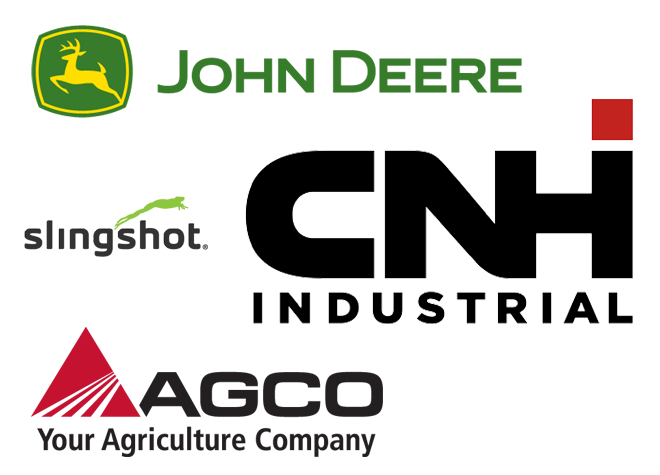 Track your Cost Per Unit of Production for each field so that you have real-time knowledge about expenses and break-even calculations throughout the growing season. Generate Profit Maps so you can deep-dive into each field and see what precision farming practices are most profitable. Sync your desktop data, including field records and precision farming maps, to the cloud and mobile app to access data anywhere, anytime. Crop Health Imagery, powered by PurePixel™ technology, provides reliable, cloud-free, calibrated satellite images to farmers and their trusted advisors. PurePixel leverages a proprietary algorithm to analyze multiple sensor inputs to produce calibrated vegetative index maps throughout the growing season. This unique calibration allows farmers to compare crop health at each growing stage for more targeted crop scouting. This enables smart in-season application decisions, helping farmers maximize yields and drive profits. Trimble’s Work Orders feature takes the guesswork out of assigning and tracking field work for farm managers. This easy-to-use mobile feature assists in managing logistics, assigning tasks, tracking progress, and making quick adjustments to maximize efficiency and farm productivity. In addition, farm workers can leverage their smartphone to receive daily tasks, resulting in increased efficiency and a reduction in application mistakes. Are you tired of looking at yield maps that don’t match what’s in the field? Trimble Ag Software’s new Yield Data Cleaning tool automatically fixes issues with grain flow delays, GPS errors, sensor errors, and overlaps, saving you countless hours manually fixing them field-by-field. 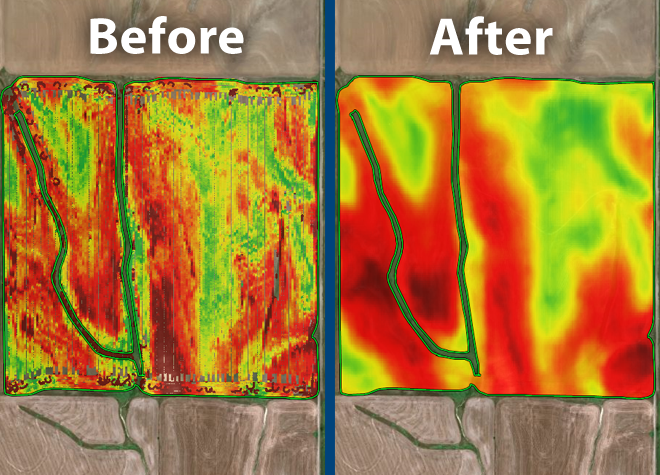 As more and more farmers move toward precision ag, accurate yield maps become critical when using them for prescriptions or management zones. 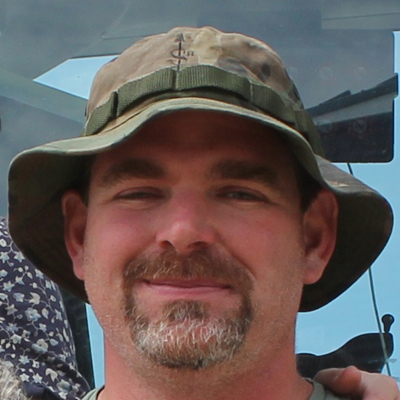 Clean yield data means accurate maps, which result in more profitable acres. 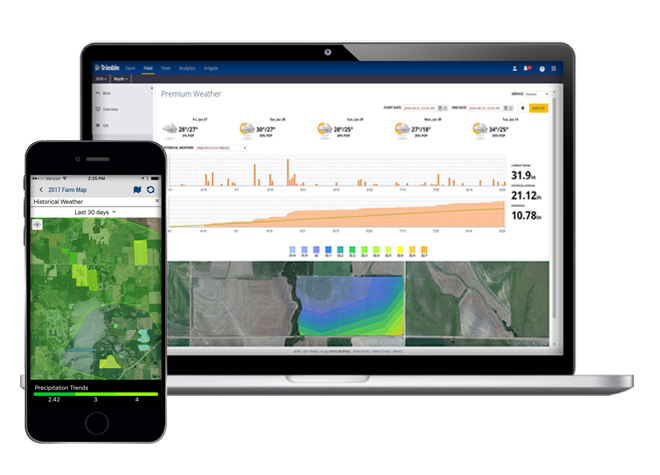 Farmer Pro comes with the AutoSync™ feature, which works in the background to automatically sync farm data across Trimble Ag Software and all Trimble displays using the Precision-IQ™ field application. Once enabled, this powerful feature syncs guidance lines, field names, boundaries, landmarks, and operator information in minutes, without pressing a button. AutoSync reduces human error and eliminates the need to manually share data via USB, resulting in consistent, accurate farm records. Farm data compatibility and connectivity agreements between Trimble Ag Software and other third-party farm management software platforms include Raven Slingshot® system, AGCO VarioDoc and AgCommand® systems, John Deere Operations Center, Case IH Advanced Farming Systems (AFS) Connect™, New Holland Precision Land Management (PLM) Connect, and more. 1 Additional user logins can be purchased separately. 2 Complimentary remote training is available in English, expanding to other languages in the future. 3 AutoSync automatically connects all your smartphones, computers and Trimble displays (using the Precision-IQ™ software). 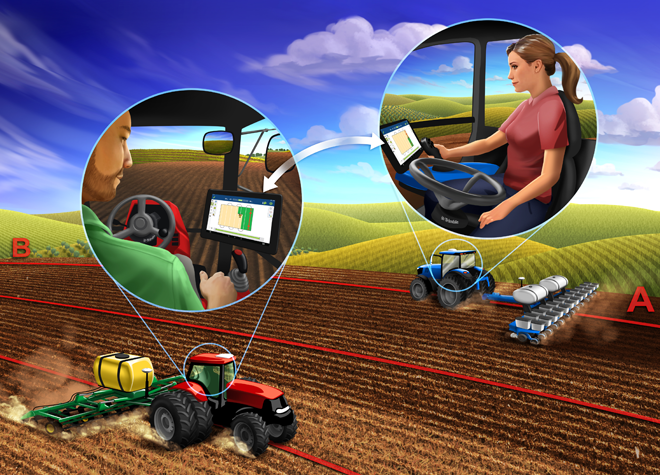 Each connected Trimble display requires a Display Connection with modem & data plan or a third-party Wi-Fi adapter. 5 Includes up to 10,000 acres of Crop Health Imagery. Additional acres can be purchased by reaching out to sales at 1-800-282-4103. 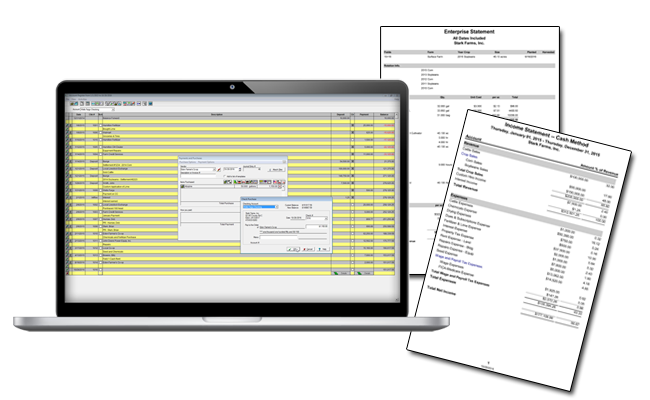 Advanced Desktop Accounting is a helpful add-on module to Farmer Fit or Farmer Pro that provides more advanced farm accounting software features that dig deeper into your financial situation. You’ll get intuitive, user-friendly tools and reports that include an accrual general ledger, cash flow budgets, invoicing, market value, payroll, and over 21 financial ratios that provide vital information about trends impacting what is, and what is not, working on your farm. 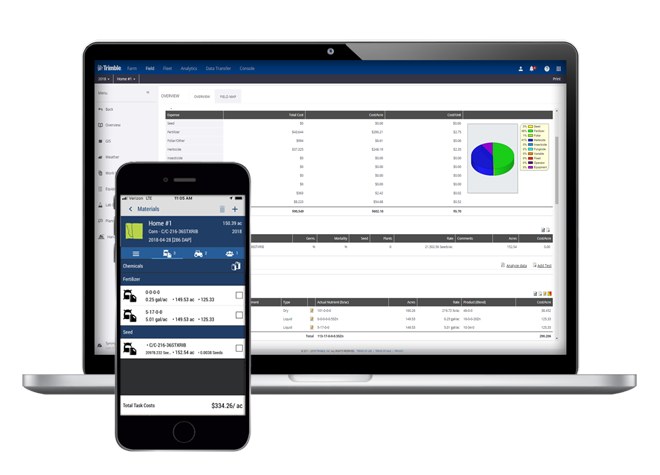 Advisor Prime is Trimble’s intelligent, integrated web-based solution featuring an intuitive, streamlined workflow for creating and sharing management zones and variable rate prescriptions. 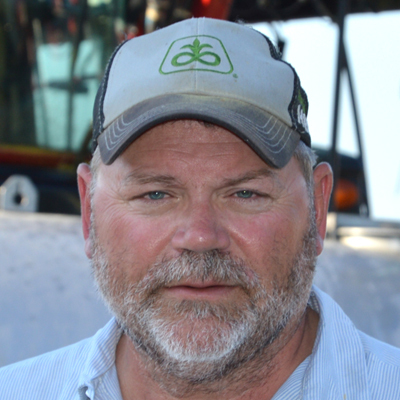 By using Advisor Prime, you’ll reduce data entry errors created by repetitive field-by-field procedures, cut out hours of processing time, and eliminate steps in transferring data back to the farmer. Embrace the power of proven precision agriculture technologies from Trimble to enhance your planting and seeding operations, while increasing farm productivity and profitability by saving on wasted inputs.